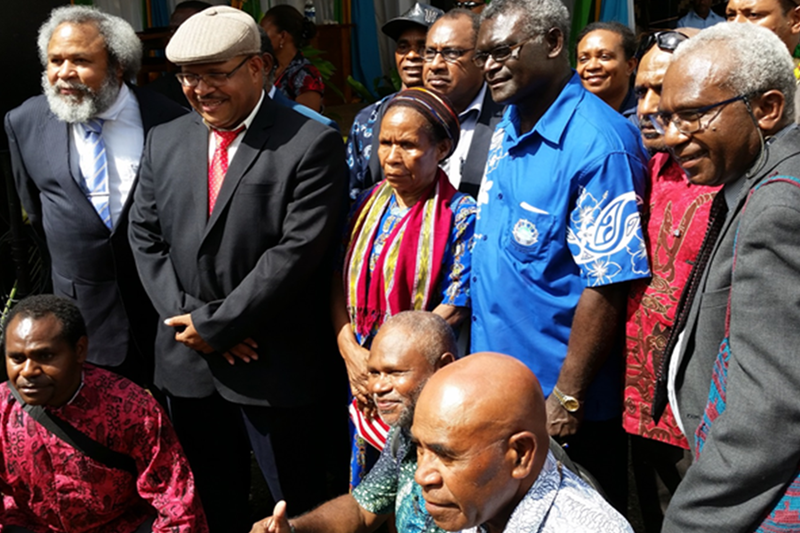 Chair of the Melanesian Spearhead Group-Prime Minister of Solomon Islands Hon Manasseh Sogavare- has welcomed Jakarta’s change of strategy on West Papua and approach towards West Papuan Separatists. These positive changes have resulted in the decision by Indonesian Authorities to release high-profile West Papuan Separatist Leader, Filep Karma, after more than a decade behind bars. Karma was sentenced to 15 years in jail following a peaceful demonstration in Jayapura. His sentence was condemned by the international community and was known as a prisoner of conscience by human rights groups. The MSG Chair says that the decision to release Karma four years earlier than mandated manifests well on President Jokowi Widodo’s new initiatives to bring peace to West Papua. These initiatives are premised on the three-pronged approach of welfare, security and dialogue. He says without dialogue, welfare and security will only remain as a lip service to the indigenous people of West Papua. The MSG Chair adds that the Forty-Six Pacific Islands Forum Leaders Meeting in Port Moresby last year ‘recognized Indonesia’s sovereignty over the Papuan provinces but noted concerns about the human rights situation, calling on all parties to protect and uphold the human rights of all residents in Papua. With Jakarta’s Change of Strategy on West Papua and President Widodo’s new approach of dialogue, Prime Minister Sogavare encouraged Indonesian Authorities to commission ‘a fact finding mission to discuss the situation in Papua with the parties’ of the Pacific Islands Forum.